You may have noticed that I’m just a tad partial to New Zealand architecture and design, and this post may go some way in explaining why I am so enamoured with architecture and interior design in New Zealand. Firstly, their use of natural materials like timber and stone is renowned, and part of this is due to the fact that there are no termites in New Zealand (not the damaging kind at least. Did I mention they don’t have snakes either? Triple bonus!!) but in addition to this, they also have a burgeoning sustainable forestry industry, so building with wood makes total environmental and economical sense. Secondly, I have found that architecture in New Zealand is highly creative and often incorporates a multitude of international influences, that when combined with their use of natural materials in a modern way, makes for some stunningly beautiful homes and creative licence. An architecture firm I discovered not too long ago is that of Christian Anderson Architects, based in Ponsonby, Auckland (another one of my favourite places in New Zealand), and they have designed some of New Zealands most spectacular homes. I don’t think I need to go on too much more as the pictures below really speak for themselves. Feel free to ‘Pin’ away if you like! They are absolutely worth it in my eyes. To view more of their work you can click here. 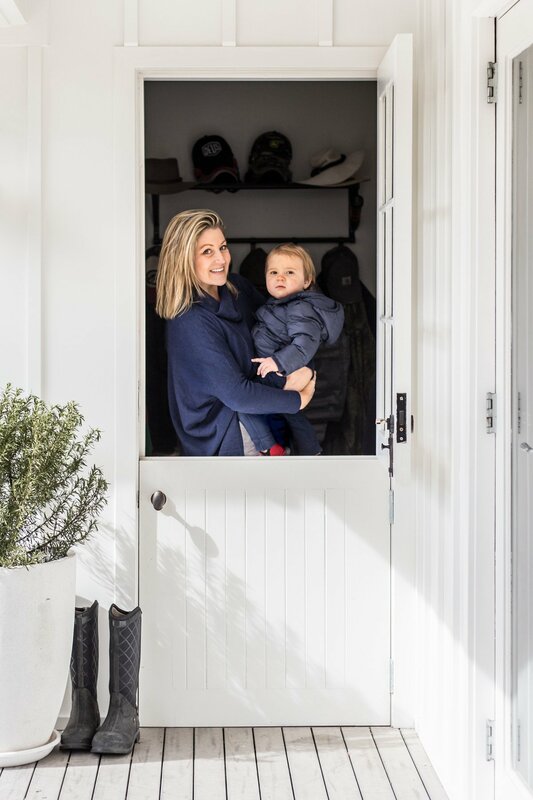 This Millbrook house is one of my absolute favourites and this is honestly what I consider to be perfect – inside and out. Especially the main living space below – it is the absolute perfect blend of American and Scandinavian style that is Cottonwood Style : uncluttered, elegant, just enough architectural detail and most importantly, homely and unpretentious. The light chevron timber floors are just so beautiful. They give a nostalgic nod to old French and Italian flooring. I love this gorgeous ‘Urban Cottage’ in Auckland. Although the decorating’s a little too bare for my taste. I think a few cushions, a nice coffee table with an orchid and a few books would really make it look finished. I do think that enormous skylight is seriously fabulous! How cool is this Coromandel beach house?! I love the way it so cleverly opens up and the use of timber, stone and glass. If you love this post and images of gorgeous New Zealand architecture and interiors then why not subscribe by email as there will be lots more to come!